Gaming on a curved monitor with Samsung’s latest quantum dot tech has got to be one of the best ways to enjoy the experience. Thanks to a 2,560 x 1,440 resolution, super rich colours and bright images, gaming should be super immersive with any of Samsung’s three new curved quantum dot monitors. Now one of the most popular iOS apps ever is coming to Android. After an initial exclusive release on Apple's iOS platform, the game from Nintendo is available to pre-register on Android now with an expected release soon. This is the world’s first cloud-connected keyboard, apparently. Expected to be shown off at CES next week the 5Q from Das Keyboard wants to change the way we click and clack. Essentially hotkeys can be coded by anyone to make the keyboard do, well, anything the interwebs will allow. 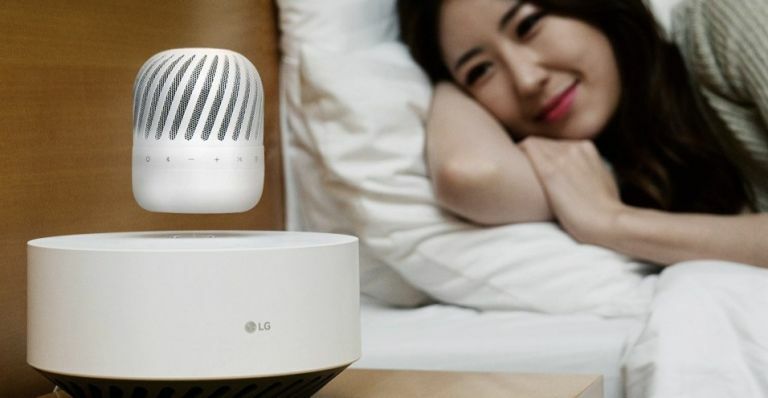 Yup, as the name suggests this is a floating device from LG. It’s a Bluetooth speaker that uses electromagnetism to float the main unit. The result is clear 360-degree sound with a 10-hour battery life.